The tradition of sending memoriam cards after the death of a relative has long been a feature of Catholic families throughout the UK, giving the grieving family the chance to express their thanks for Masses offered or attendance at the deceased’s funeral whilst also asking for prayers to be offered for the happy repose of their soul. However, as with many traditions, both religious and non-religious, the constant march away from the past can leave it forgotten. The difficulty in maintaining this tradition was something which Margaret and Jim encountered when trying to source memoriam cards for a beloved parent more than a decade ago, and since then they have set about helping to keep this tradition alive by designing and producing their own bespoke memoriam cards, as well as the traditional Italian cards sourced from Milan in Italy featuring Religious Icons. Previously, families sourced their memoriam cards from Ireland which involved writing to firms and this took up to 6 weeks to have orders produced and returned, Memorare Cards are proud to offer a service which can have cards produced and returned typically within 3 to 5 days in order to send them on to those who offered their condolences and prayers upon the passing of their loved ones. Today though, through their company Memorare Memoriam Cards Ltd, established since 2001 in Erskine, the Kanes have been able to design and distribute personalised memoriam cards to bereaved families all over the UK and because we are largely a postal business, we can take and process orders from almost any Country via our Website and working with families via e-mail instructions. We work closely with families from their design and selection of their card and produce them to the families’ timescales. Usually employing Religious images and Icons, the memoriam cards give families a chance to share and celebrate the life of a loved one after they are gone, and most importantly for the clients of Memorare Memoriam Cards, they petition those who receive them to pray for the soul of the Faithful departed. 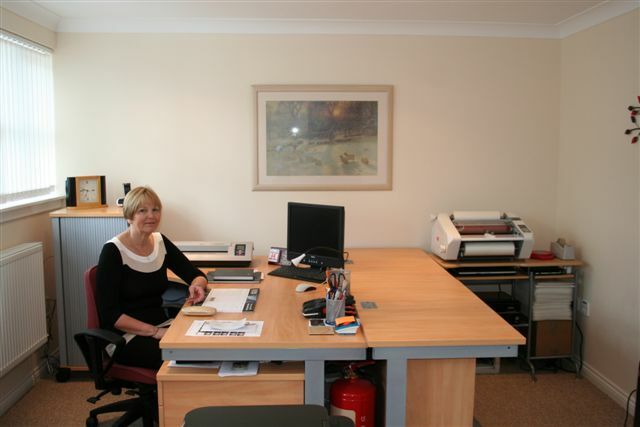 Upon discovering that the demands of the world of design and print production were increasingly demanding, Jim, originally an I.T Director, decided to work full time with Margaret in their business to deal with the challenges of product development and to source new ideas along the way.